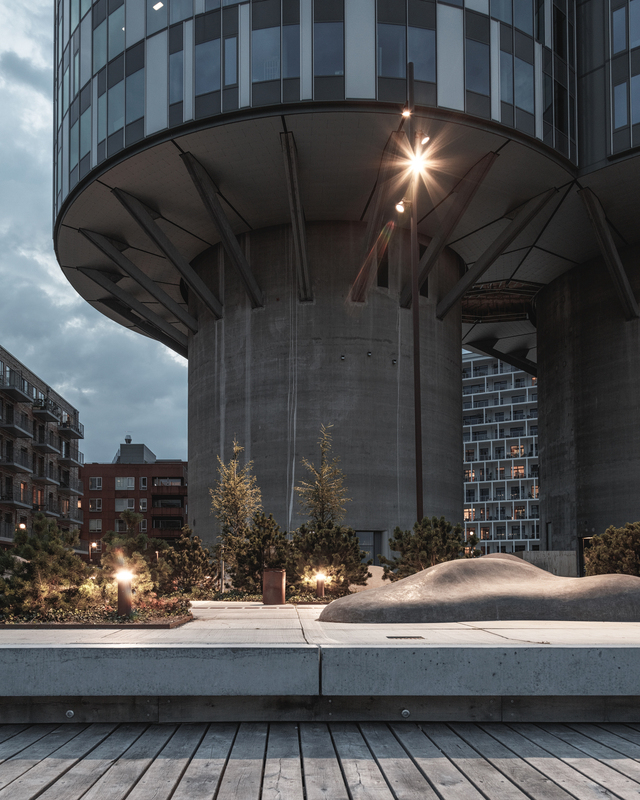 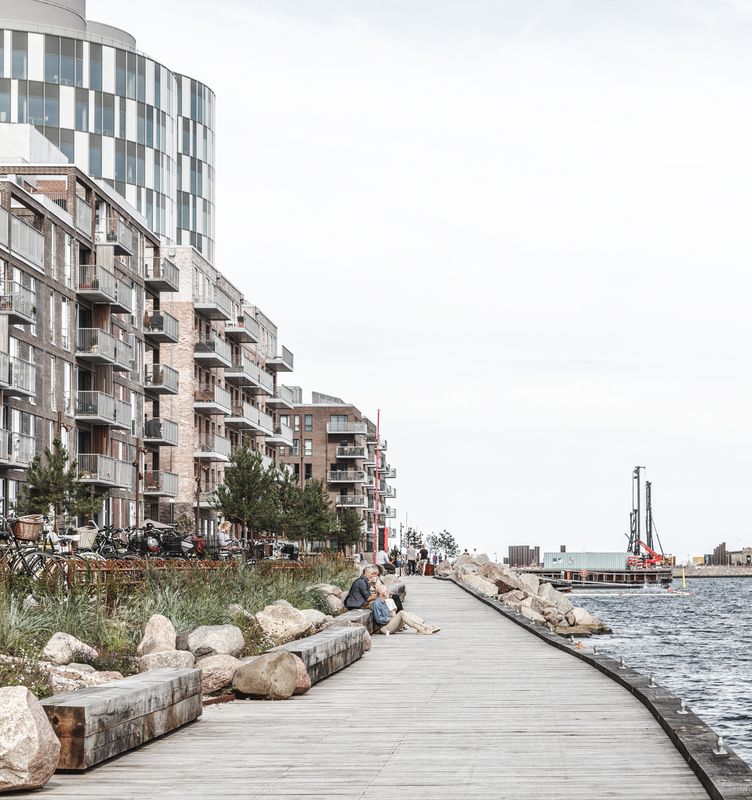 As part of the masterplan for Nordhavn, we have designed a 425 meters long promenade at Sandkaj Brygge – an urban space which is inspired by Nordhavn’s industrial character. 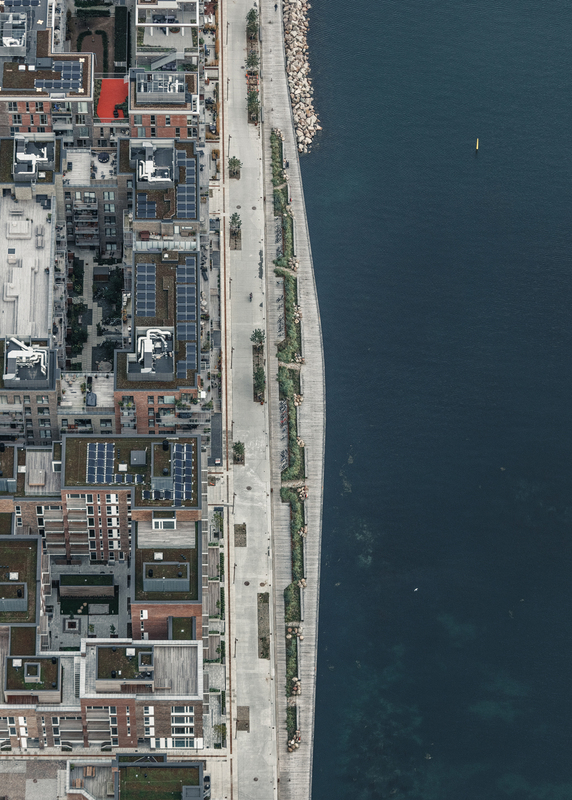 The promenade runs along the entire southern quay of the Århusgade quarter, defining the edge where the city meets the water. 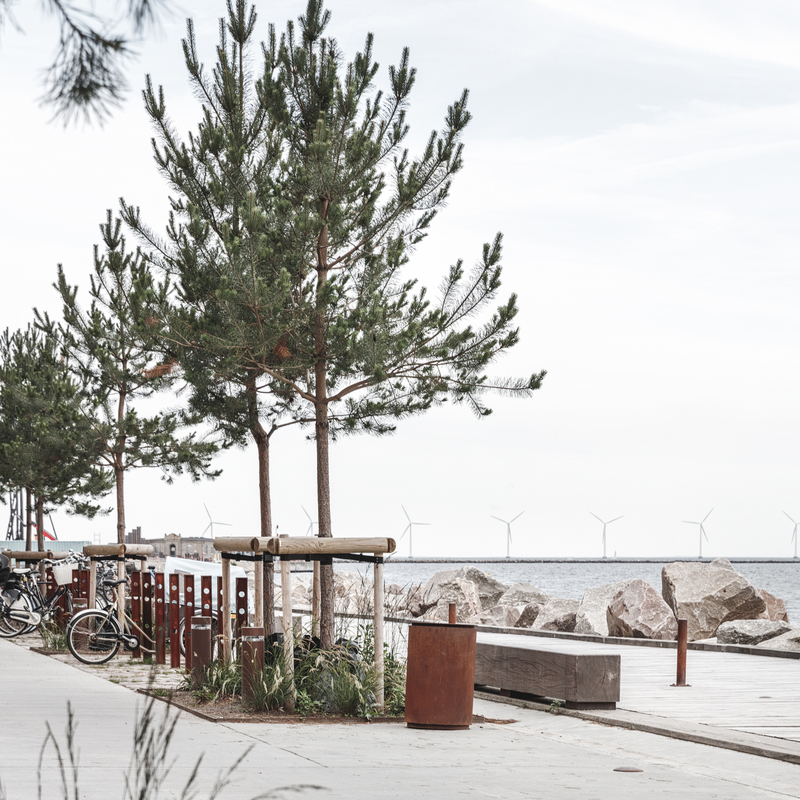 With its fantastic location facing south, Sandkaj is an attractive, recreational urban space for everyone to enjoy at the waterside. 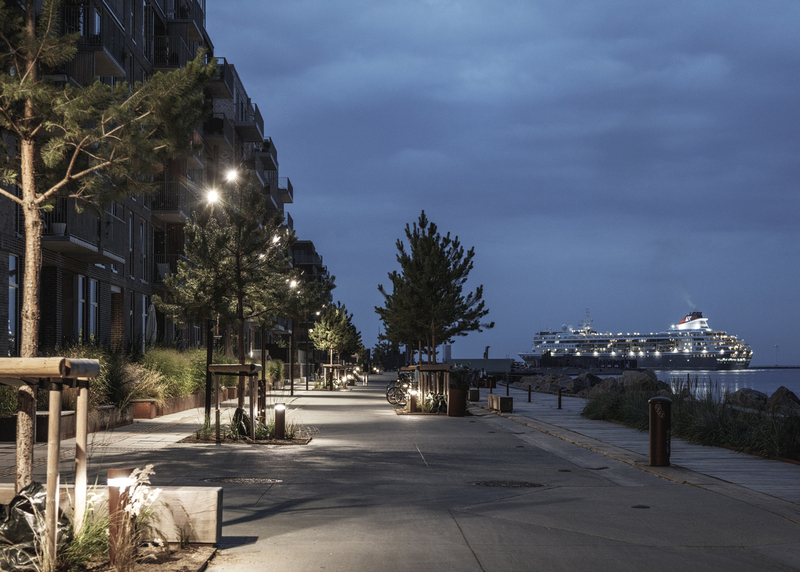 The promenade has a green ridge of dune planting, which creates a shelter and forms an oasis for rest and relaxation. 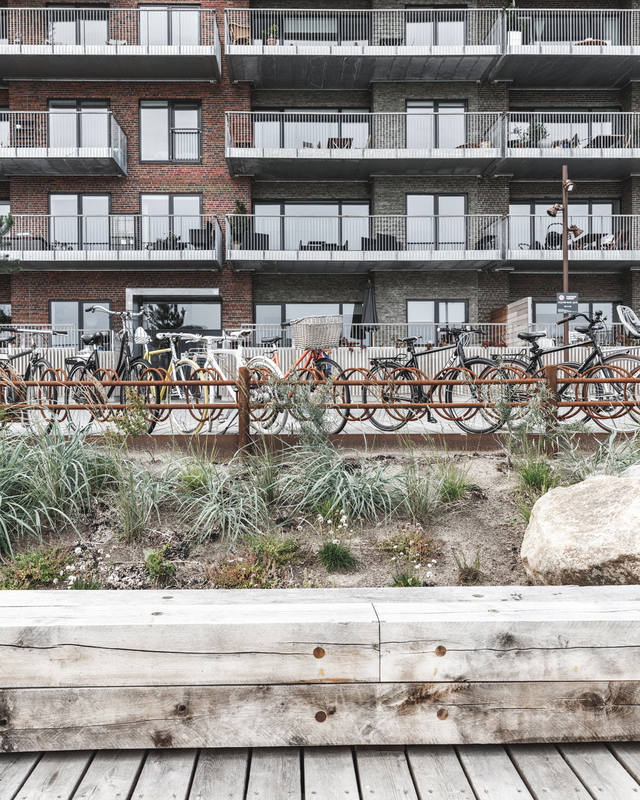 The broad wooden deck and steps mediate through a single architectural concept the transition from the city space to the large expansive area of the harbour. 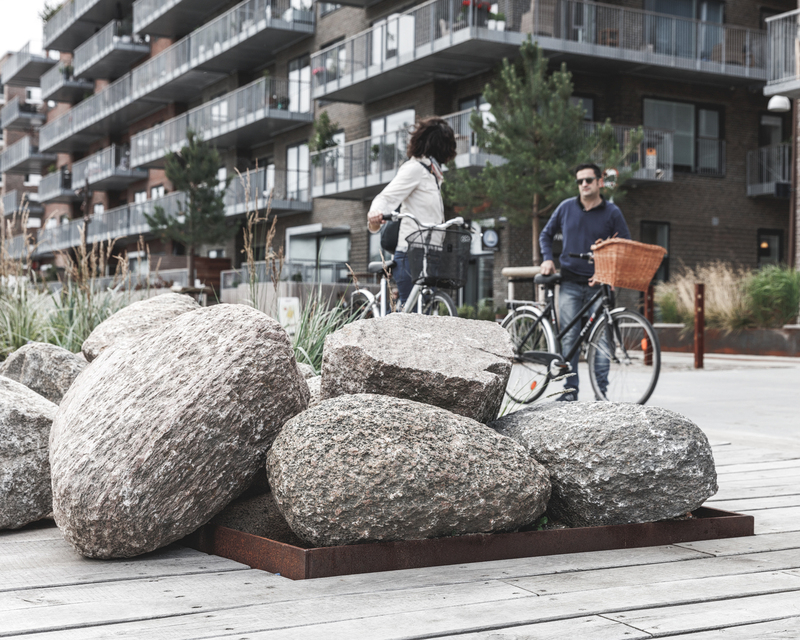 The design of Sandkaj prioritizes cyclists and pedestrians, and enhances accessibility, creating a sense of life and movement. 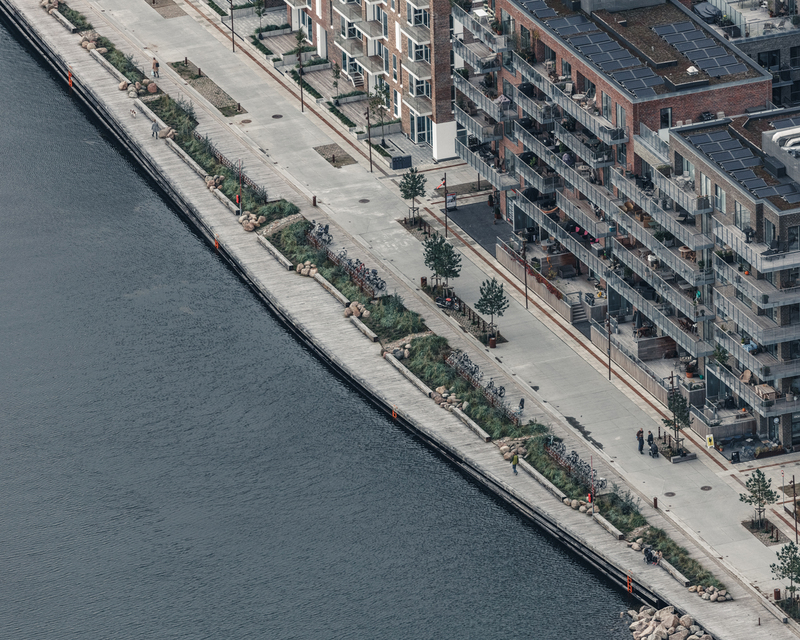 With its attractive functions such as the harbour pool, cafés and a landing stage for kayaks at the end of the quay, Sandkaj caters for a broad group of users – residents as well as visitors to the area.